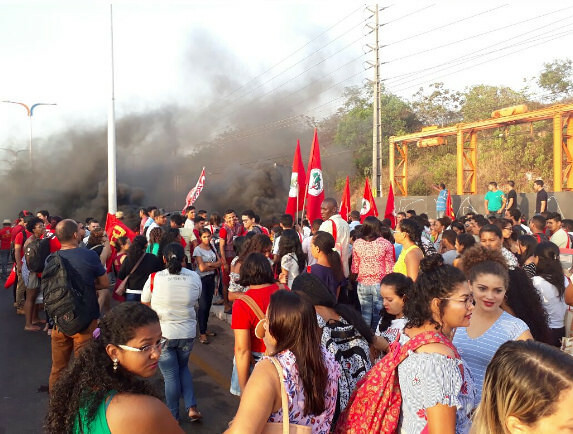 Nation-wide protests are being held to denounce President Temer’s proposed pension law. Members of social movements, labor federations and civil society groups of Brazil are holding national protests on Tuesday in opposition to the proposed pension reform. The protests are being held leading up to a crucial vote on the proposed pension reforms, which would scrap the average retirement age of 54, making it mandatory that women retire at 62 and men at 65. Meanwhile, last month a judge in Brasília ordered the suspension of the government’s advertising campaign aimed at convincing Brazilians of the need for pension reform. According to a recent survey carried out by the polling agency Vox Populi, 93 percent of Brazilians are against the proposed pension reform. Click here for more our real time coverage.